(Newser) – It's being called a document that "changed world history," at least as of Nov. 8. Germany's Bild reports historian Roland Paul has uncovered the 1905 decree that banished Donald Trump's grandfather from Germany. The Guardian has the timeline: In 1885, a then 16-year-old Friedrich Trump left Germany for the US and ended up finding a fortune among the Alaska gold rush (as Bloomberg explains, it wasn't gold, but a restaurant/brothel that brought him riches). He returned to his hometown of Kallstadt in 1901, where he a year later married Elisabeth Christ. 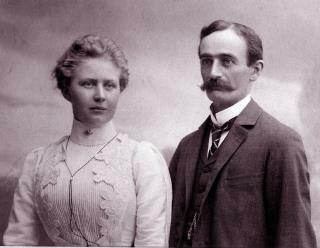 The couple's subsequent time in New York City was short-lived: Elisabeth pined for Germany, but Trump found himself unable to return permanently, done in by his having not performed mandatory military service or alerted officials to his 1885 emigration.